Social Sharing is a free phpBB extension that allows your users to share posts directly from your phpBB forum to their friends on more than 30 social networks! We also have a Social Login plugin for phpBB. You can find it here. 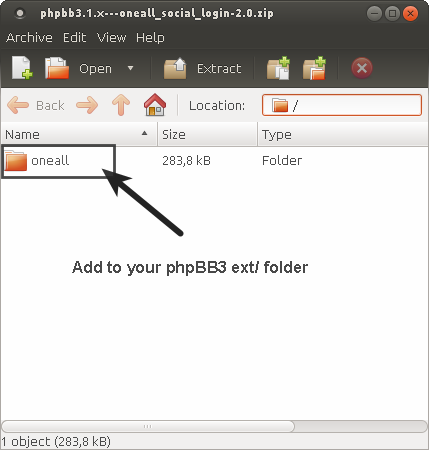 Copy the folder oneall included in the downloaded .ZIP file to the folder ext of your phpBB forum. 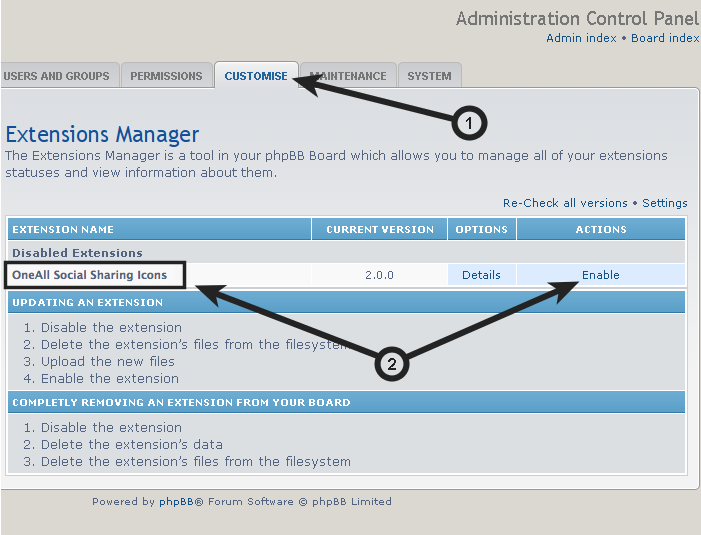 After having copied the folder you must see the folder ext/oneall/socialsharing in your phpBB directory. 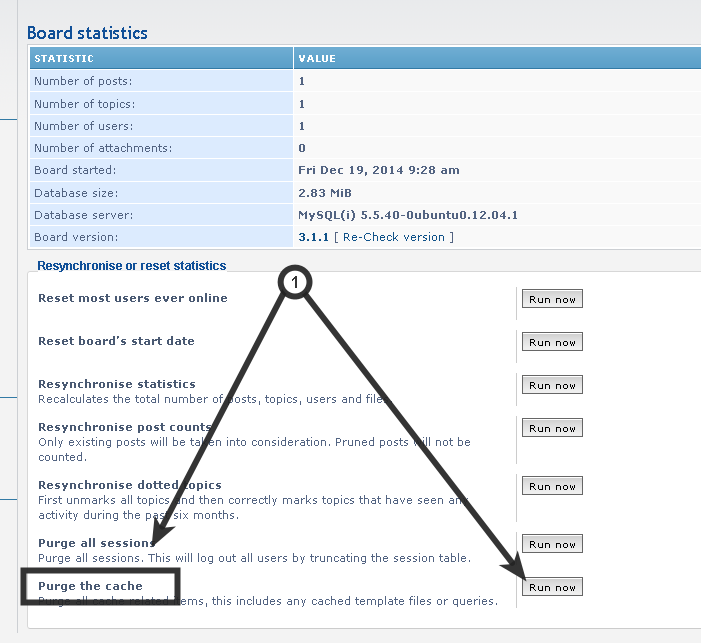 Login to your phpBB administration contral panel (ACP) and open the Customise tab. 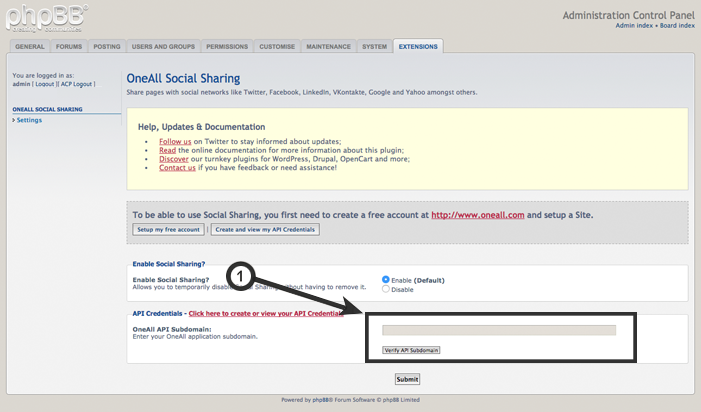 Then look for the OneAll Social Sharing extension and click on the Enable link to activate it. After having installed the OneAll Social Sharing Icons on your phpBB forum you need to enter your OneAll API subdomain in order to enable the plugin. If you already have a subdomain that you are using for any of our other services, then please use that subdomain. No need to create a new one! Copy & paste the Subdomain into the Social Sharing settings in the OneAll Social Sharing Settings area.